"Graphic Language is an exceptionally creative team. Their work has facilitated our growth over the past 5 years and the team is nimble and responsive. They continue to support our digital marketing needs with outstanding design and technology services." Having only started its homebuilding business in 2009, this young, energetic, and thriving home builder has more than made its mark. With over 100 employees today and market recognition in Austin, Dallas, Antonio, Denver and Seattle, PSW continues to grow and evolve with digital services provided by Graphic Language. 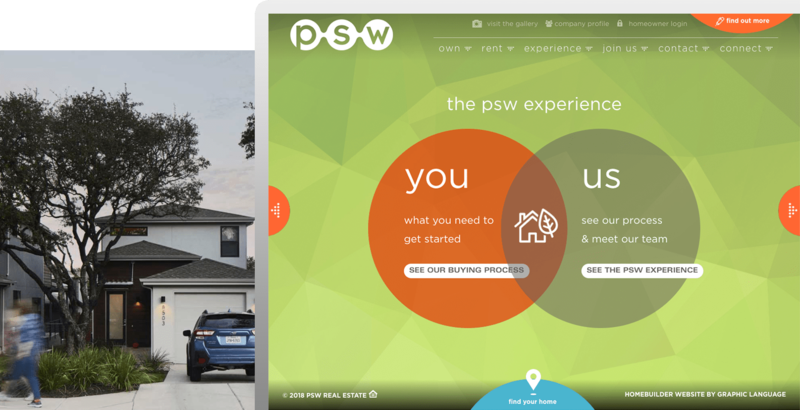 In the last 3 years alone, PSW has expanded its real estate offerings beyond residential to rentals and commercial properties. PSW is growing rapidly. As their needs evolve they require solutions that will quickly adapt to their ever-changing business. Graphic Language was challenged with building a foundation for future growth, and that’s just what we did. The new website has evolved from serving only residential communities, to rental homes as well as commercial properties. 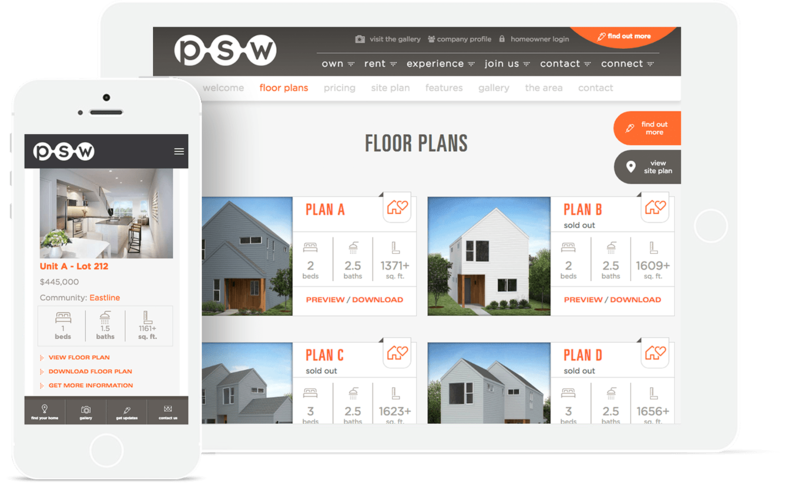 The experience is highly engaging with interactive tools conveying the PSW building and buying process, an interactive timeline, and robust site management tools with smartEDIT™4.0.